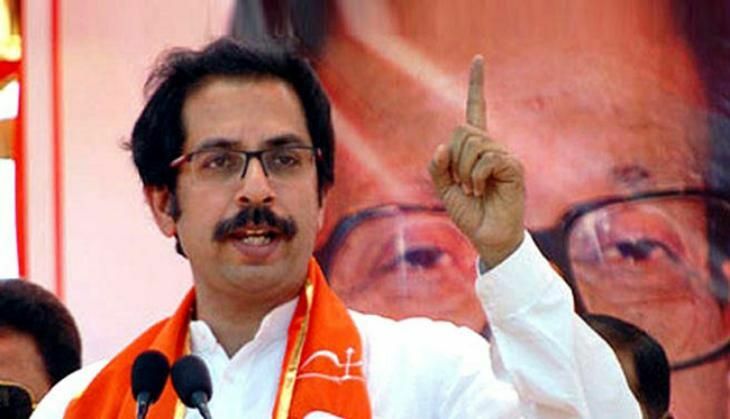 Shiv Sena chief Uddhav Thackeray today asked the Centre why standing in queues for collecting money from banks is being equated with patriotism. Addressing a press conference, he said, "Standing in queues is being equated with patriotism. This is nothing but making a mockery of patriotism." "If this is the way to combat terrorism then the entire world should impose a ban on its currency notes," he said sarcastically. Commenting on senior BJP leader LK Advani's expression of ire over the ongoing uproar in Parliament, Thackeray said Advani is a senior politician and his voice should be heard. Advani had earlier expressed his displeasure with Lok Sabha Speaker Sumitra Mahajan and Parliamentary Affairs Minister Ananth Kumar for not "running the House". "Who's running the House? It is running on its own. Neither the Speaker nor the Parliamentary Affairs Minister is running the House," he said. Earlier in the day, the Shiv Sena chief met the Union Home Minister Rajnath Singh at the latter's residence in New Delhi to discuss issues pertaining to demonetisation, especially the concerns of farmers in Maharashtra. Thackeray is also likely to meet Union Finance Minister Arun Jaitley to discuss the problems being faced post demonetisation.